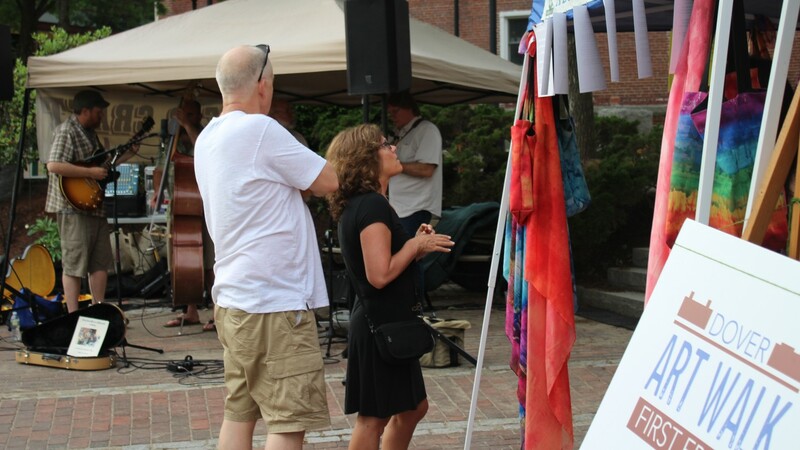 Come downtown for Dover's August Art Walk! This Dover Main Street event is sponsored by Optima Bank & Trust. In addition to the new stops on our Summer map, enjoy pop up visiting artist booths and live music in the Cochecho Courtyard plus the Franklin Courtyard! Ear Craft Music is sponsoring our entertainment featuring Haiku Sacrifice, Two Days From Monday, Taylor Marie and RC Thomas. Mike Pellecchia and Steve Carter will be performing in The Art Center at 1 Washington during the exhibition opening of a new exhibition by Stephen Michael.